Walk-a-Kennel Dog Walk - Bring a leash and walk a kennel dog at 09h00 sharp! Bring a Xmas gift for a furry and put a wag in their tail! Meet Father Paws and have your photo taken from 09h30 – 11h00! Delicious food, ice cold drinks & fresh veggies will be on sale! Exciting gifts on sale for your pets - toys, designer clothes, pet beds and blankies! Perfect to fill those Xmas stockings! Free sweeties for the kiddies! Festive music will be played! Exciting raffles on offer! South African Pit Pride Walk is a national campaign aimed to educated the public about the breed and take a stand against animal abuse and dog fighting! By uniting we can make a real change!" All dog breeds are welcome. Proudly sponsored by the PE Pet Expo and Royal Canin! Many people came and walked their dogs in the fresh air on a beautiful Spring Day! The target of the expo is to bring together like-minded people and their furry, feathery and/or scaly friends. The expo provides a venue where pet lovers are educated via informative lectures, view fun demonstrations, take part in competitions and shop at the variety of exhibitors. 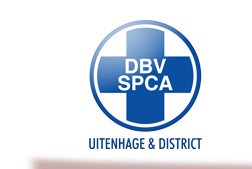 SPCA Uitenhage held an Animal Blessing Service at the kennels. Rev Willemse will officiated. Prior to the blessing, we held a very successful Doggy Walk for our kennel dogs. Amazing Food Stalls, 5km fun run at 8am and Fun dog show in aid of the SPCA. Categories included: Best dressed legs, Cutest/sexiest legs, Best performing (tricks). This was an amazing day especially for all motorcycle clubs, fanatics and families! We had a Beer Tent, Food Stalls, Live music, Lucky Draw and much more. Held at Manas in Theesecombe, visitors enjoyed a wide variety of Amazing books, CD's, DVD's, and games (adult and kiddies) on sale. A fun dog walked kindle sponsored by our friends at High Noon Dog School in Uitenhage. A fun 2.5km walk at Skoenies in Port Elizabeth. Click here to view the events from 2014.